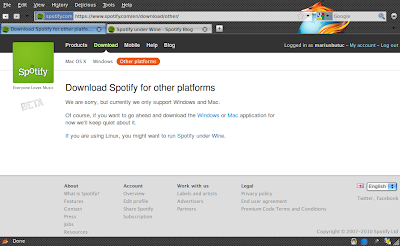 Unfortunately, Spotify is not (yet) available in Romania, but since I heard good things about it before, I gave it a shot. 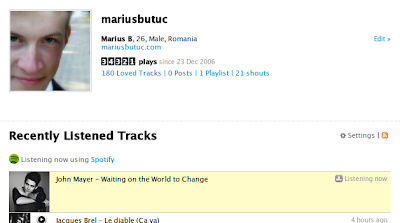 Right now, I'm waiting for the world to change, till Spotify will be available in Romania too! I hope it will be available in Romania as well, Spotify is a great service.